Obviously, this list was so incoming. On the occasion of Valentine’s Week, we decided to give you a list of top romantic movies that is perfect to watch with your loved one and shed some tears together. The list below consists of variety of romantic films, so that you can pick one depending on your taste. From cheesy romance films to classic love stories, from sci-fi romances to tragic tales of love… this list of best valentine day movies has it all. Here’s another good news. You can stream almost all of these really good Valentine Day movies on Netflix, Amazon Prime or Hulu. 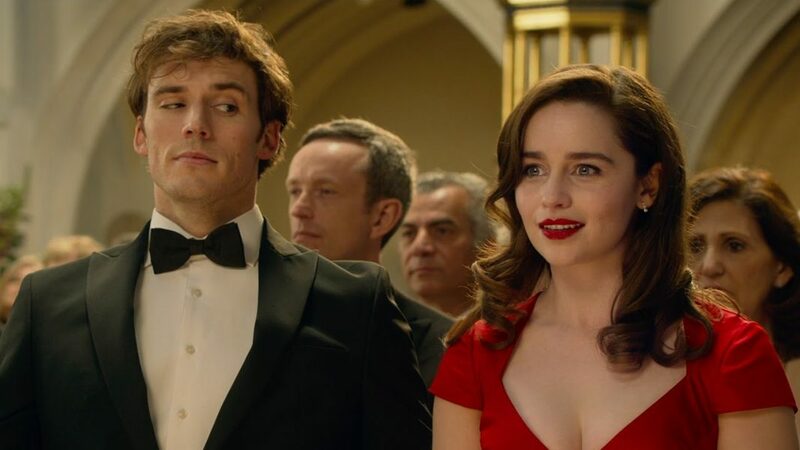 When Louisa Clark loses her job at the café, she finds work as the caretaker for Will Traynor, a wheelchair-bound man who was paralysed after he met with an accident. Will has lost his will to live and wants to go through with euthanasia, something that his parents strongly oppose. When the bright and outgoing Louisa comes into his life, they find themselves to be completely different from each other. Soon, they start to grow on each other and fall in love. But, things haven’t changed for Will, physically. It starts with a contemplative thought that on one hand we have the gloomy state of the world — a world full of hatred and greed — while on the other, we have the arrivals terminal at Heathrow Airport where there is nothing but pure uncomplicated love as friends and families rejoice the arrival of their loved ones. What follows is nine intertwined characters dancing to the tunes of love. It is about love and its struggles — falling in love, falling out of love, confessing love, understanding love and celebrating love. It is simple and it is complex – just what love is. Well, who doesn’t know about this one? That was rhetorical. Based on the world-famous novel of Jane Austen, Pride and Prejudice, this movie is an existential enquiry into love and if it is affected by social status. It inquires whether there is such a thing as superior birth and whether love truly knows no bounds of caste, colour, and religion. Elisabeth Bennett is a stubborn, beautiful and headstrong girl who will only marry the one who she falls in love with. Guy Darcy is an equally stubborn yet shy gentleman of noble birth who thinks he is superior to everyone around him. When the two meet sparks fly away, as a tussle begins between their ideologies. However, with time they realise that both of them are wrong and the moral of life is that love is superior to every one of our beliefs and feelings. Robbie is the servant of a wealthy estate and is in love with the lady of the house Cecilia. However the younger sister of Cecilia, Brione is in love with Robbie, and when she sees them together, her heart breaks into pieces. In childish revenge, she blames Robbie for having sexually molested her sister which results in him getting thrown out of the house. Several years later Robbie has joined the British army and is serving in World War II. Brione is still repenting her decisions, and Cecilia is awaiting her beau’s return. Will these three lost lovers ever find the way to true love or will the world war destroy yet another divine love story? A rich girl and a boy, who is believed to be unsuitable for her, fall in love. If two people want to be together, they will overcome any obstacle, even if it needs telling stories every day. This tale of romance flashes back to past as an old man reads stories of his youth, the time he fell in love with his wife who now is an Alzheimer’s patient. ‘The Notebook’ is spread around youth, adult and old age of two people as they fight to be together. Troubled boy and sorted girl story. They start feeling strongly for one another and there is something (her secret illness, Leukemia) that holds her back from going ahead. Some lovers are not meant to be together for lifetime, they get together in order to help each other become better person. In the end, the one who is left alone misses that someone who owes so much to the one who is not alive. It is heart-wrenching, hilarious and beautiful narration of how relationships change, love doesn’t. A young widow discovers that her late husband (taken out of life because of illness) has left 10 messages. The movie unfolds, and each message helps her in easing the pain of her loss. From being trapped in a room in the beginning, the movie walks through how she musters courage to start a new life, all thanks to those thought through post dated letters. It ends with a feeling that she stays un-regretfully in love with her late husband forever. A control freak, pushy female boss tries to use her young assistance to keep her USA visa. She has enslaved him for three years and now to avert deportation to Canada, she proposes him to marry her and in return she offers him a promotion. In that calculated tenure of give and take, ‘The Proposal’ is about how they quite predictably discover that they are in love. It stiffs your forehead at times, but in the end it is just the magic of human mind vs the power of human heart. A fact checker wants to be a writer and happens to travel to Verone, Italy with her fiancé. In the course of her travel she finds herself below the alley made famous by William Shakespeare known as Juliet’s balcony, where many write to Juliet to find answers about love. She joins Secretaries of Juliet to help them answer letters. A search for a lost love begins when she discovers an unanswered letter dating back to 50 years. In the attempt to unite long-lost love, she finds herself a true love. Barry Egan hates himself and hates his life. He leads a solitary life, which allows him to hide his violent outbursts that occur when he’s frustrated. When he meets Lena Leonard, a friend of his sister Elizabeth. Barry, he is slow to realize that Lena is attracted to him, he making her make all the first moves. Lena is eventually able to get Barry out of his shell, she who sticks around despite his obvious problems. His burgeoning relationship and thus new life with Lena is threatened by the second, “Georgia”, who he contacted in an effort to alleviate his loneliness. 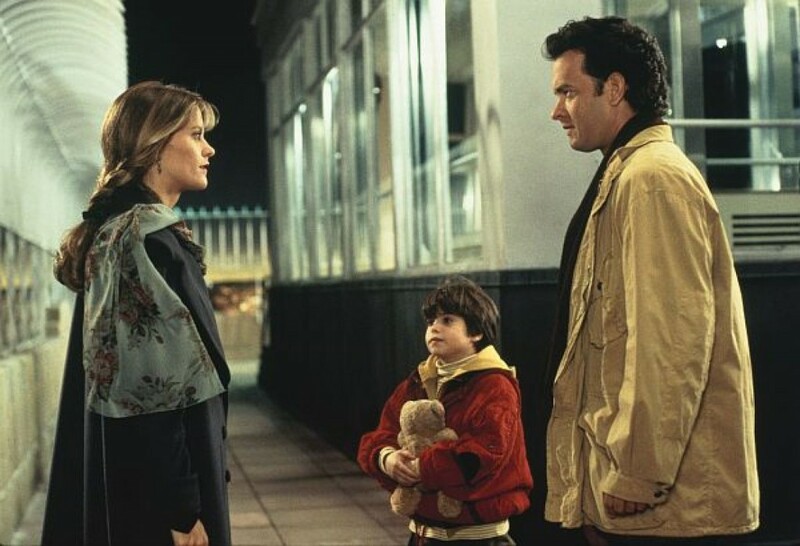 This film features Tom Hanks and Meg Ryan as two people who find love through the most unimaginable ways. After losing his wife, Sam Baldwin completely dedicates his time to his son. Watching his father alone and unable to let go of the grief, his son convinces him to talk about it on a radio talk show. Sam’s story is heard by women all over the country who start sending him letters. One of those listeners was Annie Reed. She was already in a relationship but didn’t feel any connection there, not as much as she felt while listening to Sam’s story. She sends a letter to Sam that is intercepted by his son. The boy sets the wheel in motion for their love. Set in Dublin, ‘Once’ tells us about a repairman, who has been waiting for his break in music industry, and a female immigrant, who earns by selling flowers, collaborating together to live their dreams of making it big in music and how they slowly fall in love for each other. The film does not even name its characters, still gives us a piece which is too magical — and painful — to be forgotten. Glen Hansard and Markéta Irglová are superb as the lead pair and John Carney makes a film for which Ireland will be remembered by many. It is during troubled times that love comes out in its full glory. Inspired by the story of his parents, the director, Pawel Pawlikowski made this film about two lovers who try to keep alive a relationship that is doomed from the beginning. Set in Cold War-era Poland, Wiktor, a music director is trying to find a new voice with which to dazzle the world. In one of the auditions comes Zula, a beautiful young woman whose voice is as sweet as her mysterious character. Smitten with her beauty and talent, Wiktor pursues her love which takes the lover on a journey that is tumultuous not only romantically but also politically. A brilliant and unconventional love story of two men, this is Brokeback Mountain. A famous and universally acclaimed performance of both Heath Ledger and Jake Gyllenhaal, this movie raises some existential questions about what it means loving someone regardless of the society’s rules. Ennis Del Mar and Jack Twist are two ranch hands who even though are not friendly at first strangely fall in love later over the course of a year. After they are dismissed by the ranch’s owner, the couple finds themselves facing the realities of life and acting normal in front of their wives. However, every once in a while they escape from the lie they’re living and spend time in each other’s embrace. This unconventional love story is one of the best 2000s love stories. 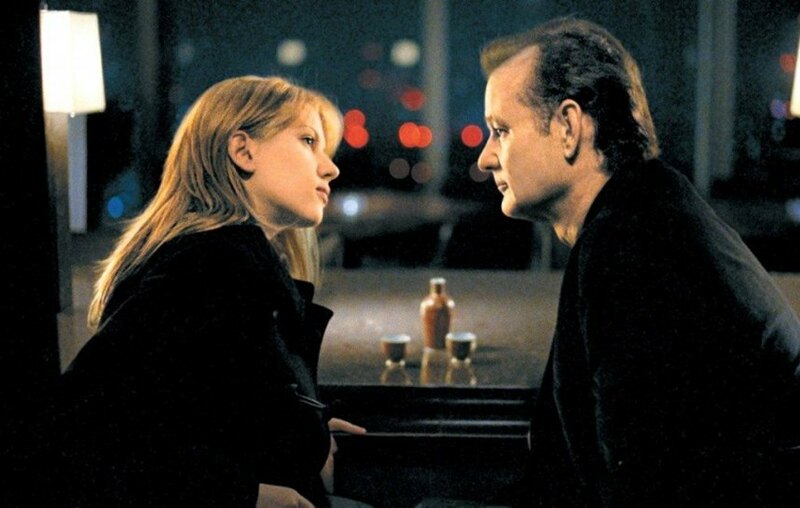 Starring Bill Murray and Scarlett Johansson, this movie demonstrates how you can find love in the strangest of places even if you’re not looking for it. On a work vacation with her photographer husband, Charlotte is in Tokyo when she realises how dull and directionless her life has become. She meets Bob, an actor who has come to Tokyo to shoot an ad and is an equally bored individual searching for respite from his uneventful life. When the two meet each other, no sparks fly, and nothing special happens. However, as they keep meeting each other, their love and respect for each other increases. Far away from home, these two lost personalities find a piece of their heart. A sequel to Richard Linklater’s Before Sunrise (1995), Before Sunset is a lot like its predecessor in the terms that it explores a strange connection between two strangers and what that means for them. Meeting nine years after their first encounter Jesse and Celine have changed a lot. Jesse is in Paris to promote his book which is incidentally based on the same romantic meeting he had with Celine nine years ago. Celine is an environmental activist who happens to visit the bookstore where Jesse is present. Once again these two strangers can’t help but get attracted to each other and end up spending the time with each other before either one has to leave. What will happen this time? Will they at least realise what destiny is trying to tell them or chalk it up again as a chance encounter which means nothing. Love indeed works in mysterious ways. ‘In the Mood For Love’ is not just the best romantic film of 2000s, but quite simply the greatest love story ever put on film. Period. It could so easily have been a play or even a poetry. 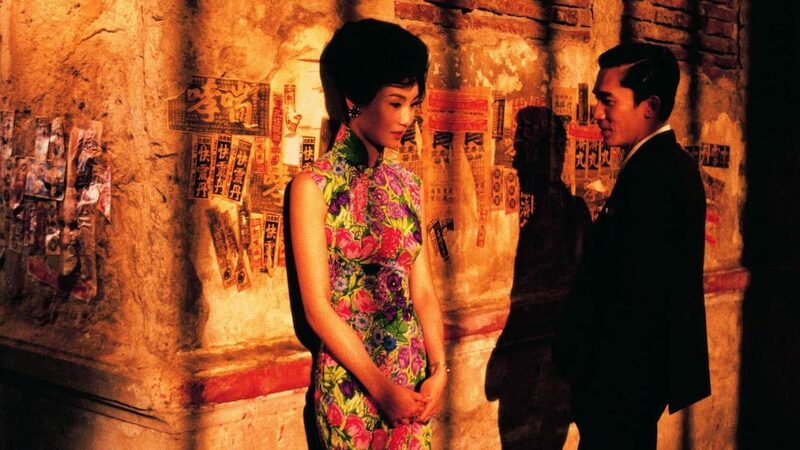 With beautiful, captivating images, and exquisite, soul-piercing music, ‘In The Mood For Love’ tells the complex story of two simple individuals. Two individuals who go through the fear and the lure of falling in love; and once in love, the sheer pain of leaving it incomplete. ‘In the Mood for Love’ depicts love in its most vulnerable form. And in doing so, it reveals our own vulnerabilities and how helpless we are in front of love. Rarely a film so understated and so reserved has such an impact after viewing. I am not sure if director Wong-Kar-Wai intended to make the film he made, considering he mostly shot the film without a script. If you look at history, the most defining pieces of art are happy accidents. Count ‘In the Mood For Love’ among them. 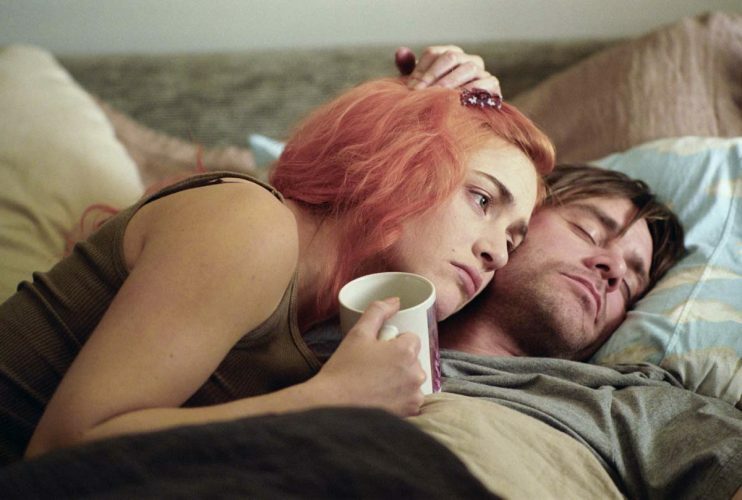 Often regarded as one of the greatest films of the century, and rightfully so, ‘Eternal Sunshine of the Spotless Mind’ has garnered a cult status over the years. The story follows a non-linear narrative and revolves around Joel and Clementine, two polar opposites, who’re travelling from Montauk to Rockville Centre. In what seems to be a weird yet quick turn of events, they get attracted to each other and begin a relationship on the train. Turns out, they were lovers and were dating each other two years ago, but Clementine, owing to trouble in their relationship, decided to remove her past memories associated with Joel and the latter also reciprocates. Because the process of memory erasing works in the reverse, starting from bitter ones and ending with the most endearing and lovable ones, both Joel and Clementine remember the one which is erased in the end that was their first meeting in Montauk, which leads them to meet again at the same place but in a train. In the present day, they decide to give their relationship another try, upon Joel’s insistence. ‘Eternal Sunshine of the Spotless Mind’ is mind-bending, seemingly realistic and gives its viewers no chance to dislike it, despite however hard they try. Have you watched it yet? thanks you, this list is useful. but can i download them from any sites directly or with a third-party tool like wonderfox free hd video converter factory.